The European Water Vole is a small, semi-aquatic mammal that lives in all parts of Europe, except for Greece, Ireland and Iberia. Despite its name, the Water Vole can inhabit territories not near water – forests, meadows and gardens, and many of these animals actually spend all their lives on dry land. It should, however, be noted, that the Water Voles still prefer freshwater basin coasts. These animals usually construct a den in thick growths near the shore of rivers or ponds. In reality, they often build dens in forests and gardens – any place with plenty of thick growth and lots of grass suits them. If a Water Vole family moves to a garden, at first, their actions may be hard to notice, but they quickly dig tunnels in the soil, often damaging or nibbling tree roots. 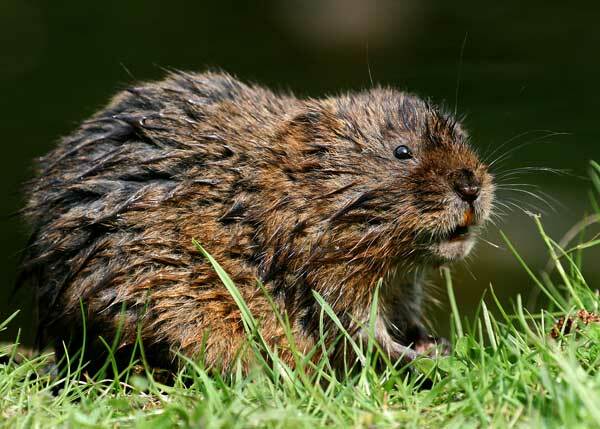 European Water Voles most often live in small family groups lead by the male. 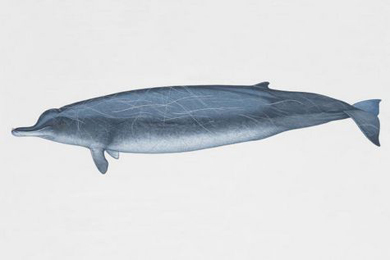 Their inhabited territory is usually around 130 metres long shore, marked with a special excrete. These animals dig large tunnel systems with multiple “rooms” and “storage areas”. The maze has multiple entrances, most of them underwater. 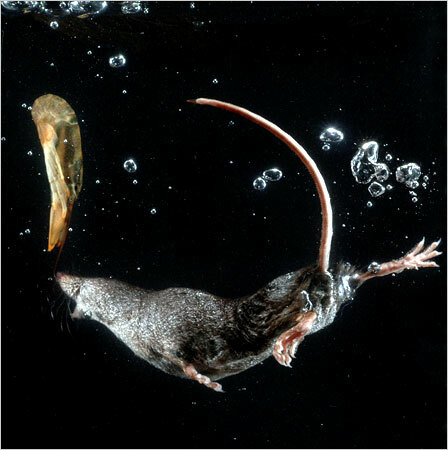 Being an excellent swimmer and diver, the Water Voles have no problem using the underwater entrances. If ambushed while under the surface, the Water Vole tries to mud up the water and escape to the nearest den entrance as quickly as possible. These small mammals are active both day and night. Water Vole’s diet consists mostly of grass and water plants, as well as branches, sprouts and roots. In winter, the animal most usually searches for food underground. Rich harvests result in Water Vole population booms, and large colonies can cause great damage to farmlands. If not dealt with, these rodents can almost completely destroy orchards or any other growths. The mating period of the European Water Vole depends on the air temperature and the food available. It usually starts in February or March and lasts throughout the summer, until it becomes colder again. A single female can have up to three litters a year, and the first children can already copulate by the end of the first summer, which is an incredible rate of reproduction. Gestation lasts for 20-22 days and up to eleven babies can be born at a time. 14 days later they’re almost completely developed and after one week they bid their parents farewell and start independent lives. 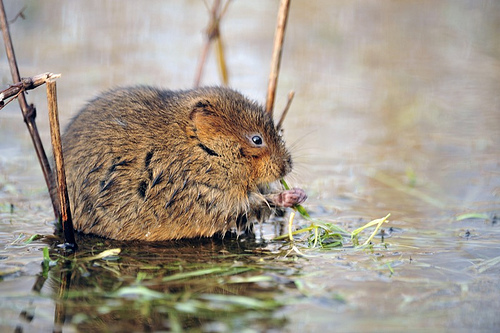 Currently Water Voles are hunted for their fur in Russia, while in Central and Northern Europe they’re being eradicated as pests – in especially fruitful summers 1 hectare of land can be inhabited by more than 100 specimen at a time. Still, thanks to the amazing rate of reproduction, it’s doubtful that this species will be facing extinction anytime soon.